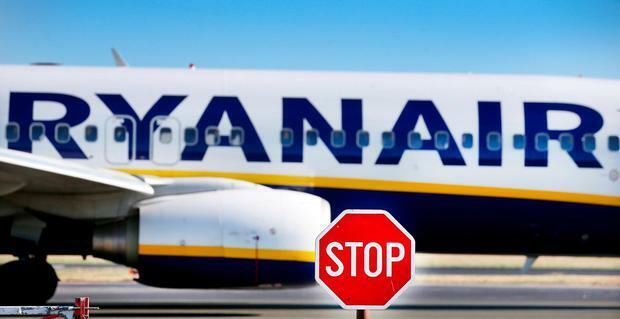 Ryanair pilots have announced plans to hold two further days of strike action. There is uncertainty for thousands of holidaymakers as the Irish Airline Pilots’ Association (IALPA) branch of Fórsa confirmed this evening that Ryanair pilots intend to stage a further two days of strikes. A 24-hour strike was held today after crunch talks between Ryanair and the IALPA broke down last night. The IALPA said this evening that further 24-hour strikes are planned for July 20 and July 24, both beginning at 1am.They said in a statement: "The union and management found some common ground in talks yesterday on the proposal that a joint working group could help the parties agree on a fair and transparent method to govern base transfer arrangements and related matters, but failed to reach agreement on the terms of reference for such a group. "On a number of occasions in recent months, there have been suggestions that third-party facilitation could assist in reaching consensus on issues of disagreement. Over 5,000 passengers were due to be affected by today's action but the low-cost airline said that all of their Irish flights went as planned today, despite the strikes. A spokesman said: "All 262 of our flights to and from Irish airports today are operating normally thanks to the great work of our pilots and our cabin crews. "There has been no customer disruption other than the 30 flights which were cancelled on Tuesday (and all these customers switched flights or selected refunds)." "Across Europe today, Ryanair will operate over 2,300 flights, taking over 415,000 customers to their chosen destinations. "Given that today's strike by 25 per cent of our Irish pilots have achieved nothing, we hope they will now accept our offer to set up a working group to discuss, explain and resolve their issues. "This would have happened sooner if FORSA had taken up any of the 21 invitations to meet us before yesterday." Commenting on further strikes, they urged pilots to accept their working group to avoid further strikes. “As we said in our memo today, we would encourage our pilots to take up our offer of a working group to resolve these issues, but if they wish to hold another unsuccessful strike again, then so be it. We will contact customers in due course when we receive details,” the Ryanair spokesman said. Fórsa spokesman Bernard Harbor said the talks broke down yesterday because both sides could not agree the terms of reference for a new working group to resolve the issues at stake. He said there were no plans for further talks. The pilots are demanding a more “transparent” way of allocating holidays, promotions and transfers between bases. They say a system that gives those with longer service preference is the norm at rival airlines. The claim was made after Ryanair made a dramatic u-turn on its industrial relations policy last December and agreed to recognise unions, when faced with strikes.